This was a long time coming. Years upon years of speculating, leaks, reports and prototypes have carried us this far. The Samsung Foldable Phone is finally close to becoming a reality. Yeah it still sounds far fetched but this time we have actual confirmation from Samsung itself. A few hours ago, a teaser was dropped by Samsung Mobile on twitter. And pretty cleverly Samsung gave us what we needed. We now have a date when the Samsung Foldable Phone will finally be shown off. Last November we only got a sneak peak at the device. With the device covered with a case, lights dimmed we couldn’t tell what it actually looked like in reality and Samsung made no effort to show us. Of course it may not have been ready for the mass market in November that’s probably why we didn’t get to see any more details about the phone. The above teaser posted with the caption “The Future of mobile will unfold on February 20,2019″ leaves nothing to the imagine. The deliberate use of the word “Unfold” is a direct reference to the Samsung Foldable Phone. And this date also happens to be during the MWC conference in Barcelona where we will get to see The Samsung Galaxy S10, The S10e and The S10+. Exciting times people, exciting times! Aside from this little teaser, no further information was provided. Well as far as we can say, expect top of the line specs at a premium price. If normal flagships nowadays are going for more than $1000, we can be certain that it will cost more than a $1000. A first gen Samsung Foldable Phone, don’t expect anything for cheap. Samsung isn’t the only one releasing foldables devices at this year’s MWC. Other manufacturers will surely follow suite. Xiaomi even showed a prototype video. 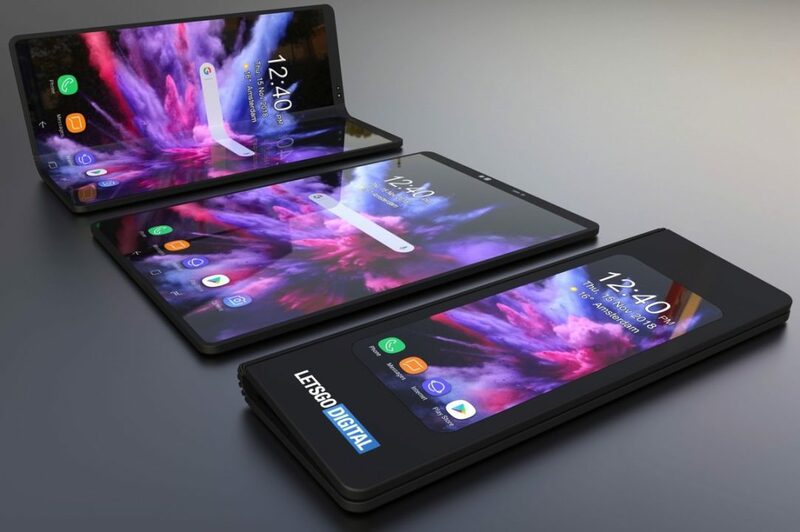 What do you think about a Samsung Foldable Phone? Will you be buying one? Sound off in the comments down below!